Cavs vs. Milwaukee Bucks at 8:00 p.m. This season, Cavs fans will have the chance to turn back the clock and revisit the years 1974-1981 through a series of six games that will be themed Hardwood Classics Nights. Each night, The Q will throw it back with fun sights and sounds that helped define an era. There will also be surprises from past seasons, including visits from some of the team's most memorable players and personalities. 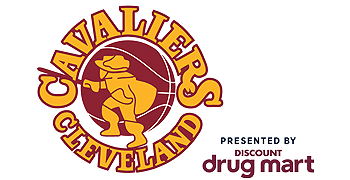 The journey down memory lane begins at the first Hardwood Classics (HWC) game on Thursday, November 19th when the Cavaliers of today, suited up in their retro HWC uniforms, host the Milwaukee Bucks at 8:00 p.m. at Quicken Loans Arena. At halftime, the Cavs will welcome legendary Cleveland radio personality Larry Morrow, who wrote the official Cavs fight song for the era, "Come on Cavs." "We want Cavs fans to bust out their 70s best for these games, as we travel back to a very groovy time in franchise history," said Tracy Marek, Cavaliers CMO. "Fun touches of Cavs retro flare will be added to everything from the Tip Off Tonight game programs to entertainment on the court. We're excited to celebrate an era past, while making new memories today!" FANS WILL DIG IT! The Cavs game presentation for each Hardwood Classics Night will be customized to recognize franchise milestones and memories, while giving a new generation of fans an appreciation for the history and tradition of the team. There will also be a specially-produced Hardwood Classics player introduction video that will connect past and present Cavaliers players together through stunning visuals and effects, as well as music from the era. On Thursday, November 19th, fans in attendance who have the Cavs App downloaded with location-based services and all notifications enabled, will receive a special digital keepsake during player introductions. In addition, ZTE, the smartphone partner of the Cavaliers, will be taking over the Q Social Zone that night (located between Sec. 123 and 124 on the main concourse). Fans who stop by the Q Social Zone will have the opportunity to receive a limited edition Hardwood Classics Night poster, while supplies last. The Friday, March 4th Cavs vs. Washington Wizards game will commemorate the 40th anniversary of one of the most notable seasons in franchise history with Miracle of Richfield Night presented by FirstEnergy. The special night will be entirely dedicated to the 1975-76 Cavaliers team who led the franchise to its first playoff appearance and first Central Division title. All fans in attendance on March 4th will receive a commemorative Miracle of Richfield inspired t-shirt presented by FirstEnergy. RIGHT ON! For every Hardwood Classics game, the players will rock gold retro Hardwood Classics uniforms that resemble those worn during the 1974-81 seasons. 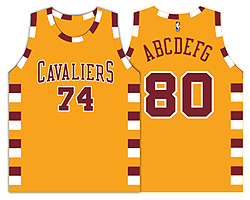 The jersey features "CAVALIERS" across the chest in wine, with wine numbers and lettering, and alternating wine and white block piping on the jersey and shorts. While many fans remember the times these uniforms were originally worn, this updated version will help connect younger fans to the early years of the franchise. Tickets are always available at Cavs.com/Tickets, all season long to catch the action! For the latest news, stay tuned to Cavs.com and follow the Cavs across social media on Twitter (@Cavs), Instagram (@cavs), Facebook (/Cavs) and Snapchat (Cavs).